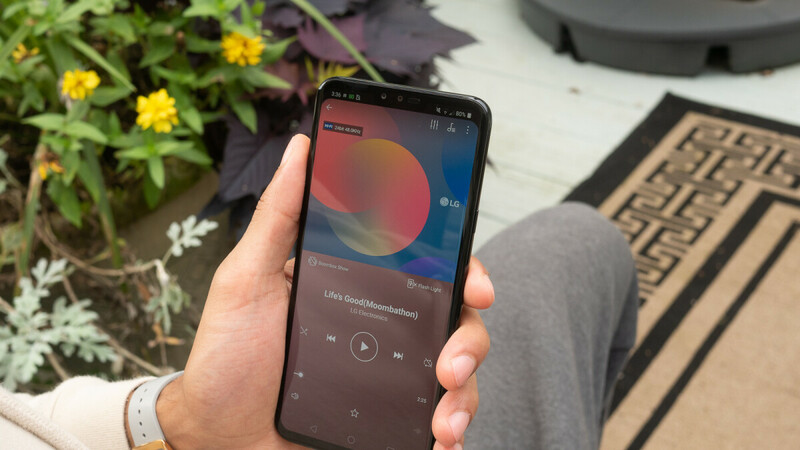 The V40 ThinQ - LG's newest high-end smartphone - is now available unlocked in the US. At the moment, only Best Buy has the unlocked LG V40 ThinQ in stock, while retailer B&H is accepting pre-orders and will release the handset later this week, on October 26. Both Best Buy and B&H are taking $200 off the regular price of the unlocked LG V40 ThinQ. This means you can purchase the phone for $749.99 instead of $949.99. The new handset also comes with a free 256 GB SanDisk microSD card, although a couple of conditions have to be met for this - you need to buy the V40 ThinQ before, or on November 2, and register it on LG's website (see the third source link below). This registration also automatically enrolls you into the LG Second Year Promise Program, which provides 1 extra year of warranty for free. In case you're wondering, the unlocked LG V40 ThinQ is compatible with all relevant US mobile operators, including Verizon, AT&T, T-Mobile, and Sprint. The smartphone runs Android 8.1 Oreo out of the box and will certainly be upgraded to Android 9 Pie (although it remains to be seen when). For a closer look at the new device and its features, feel free to read our LG V40 ThinQ review. LG should have priced the V40 like this from the start. Imagine being LG's loyal users that bought this phone at full price one week ago. That will hurt, lol. They should have. They probably would have made better sales with an affordable high end phone that's not going to break the bank like the overpriced Apple and Samsung phones are. LG always fail to do things in the correct order and in the right capacity. They have to lower their introductory prices of their flagships followed by a big enough world wide marketing campaign for at least 3 months. They also have to give all these free extra goodies from the beginning it self just like Samsung. If they do all this they'd sell so much more smartphones than now. And also they shouldn't delay the availability of the phones for weeks and weeks after announcing them. Because then people usually lose the interest in them. Tech world is changing very fast. They have to do things in the normal way like everyone else. What companies like LG, Sony, and HTC don't realize is that they don't have that huge fanbase that will go and dish out $900+ for their flagships, so when they release them at these prices, people are going to look somewhere else, and by the time they start dropping the price, it will either go unnoticed or people have already spent their money somewhere else. They should start releasing their phones priced at $750 max, and when they start gaining ground, then year after year you can bump up the price slightly, kinda like Huawei did. I'm not saying that their phones are inferior, but only Apple and Samsung can sell flagships at $900 without worrying about losing market share. Exactly... LG, HTC and Sony are not the same brands they used to be. They don't have a big fanbase like they used to have in early android days. They need to realize that soon. Otherwise it'll be too late for them. Their revenues and market share are slipping away so fast. This is an LG phone, so register that thing asap if you're going to get the V40. You're probably going to need that extra warranty knowing LG's track record. I do not, but neither does any other, which was my point. I feel like I want PhoneArena to revisit their review since LG pushed out a lot of software updates fixing what reviewers were saying as issues. I’m just curious if the device is a lot better now than it was reviewed. Agreed ! In fact, a revisit should happen with all the phones, be it Samsung , Apple LG , HTC etc. Sadly, they will never do that. The Essential Phone desperately neededna revisit few weeks after it's initial release, but they never listened to all the requests from users on this website. The right price , finally ! Is there a 128 GB version coming soon ? I bought a brand new T-Mobile version with H3 BO headphones on Swappa for $550. Not a bad deal. The price of this phone will drop fast. LG should learn from it, and release their next flagship with this price tag. Goes to show that Apple isn't the only manufacturer who's greedy.